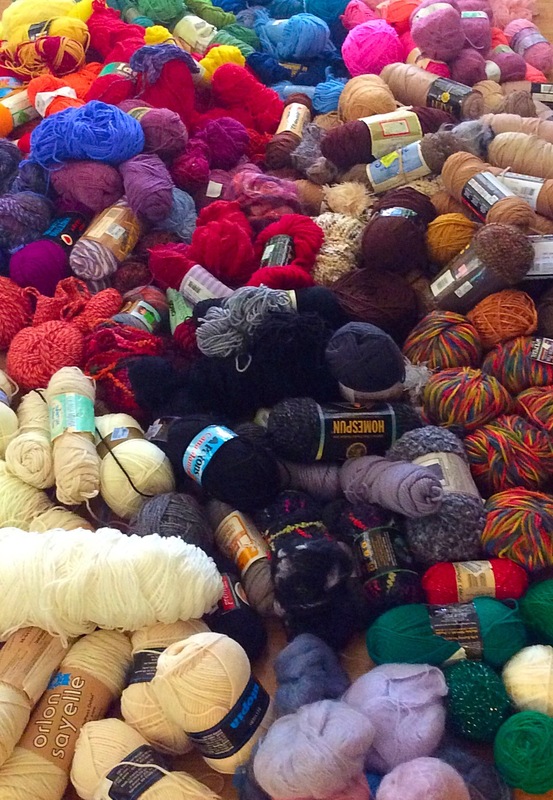 July 24, 2017-Knitting in Recovery received an awesome yarn donation from Twist: Yarns of Intrigue in Manhattan Beach. The donation filled up an entire car! The biggest of thank yous to Twist! Our clients do great things with this yarn and getting new goodies in makes them feel very special. Posted on September 25, 2017 September 22, 2017 Author emilywagesCategories Donations, Yarn DonationsTags crochet, knitting, knitting in recovery, one stitch at a time, recovery is worth it, twist yarns, yarn, yarn donationLeave a comment on Yarn Donation from Twist! 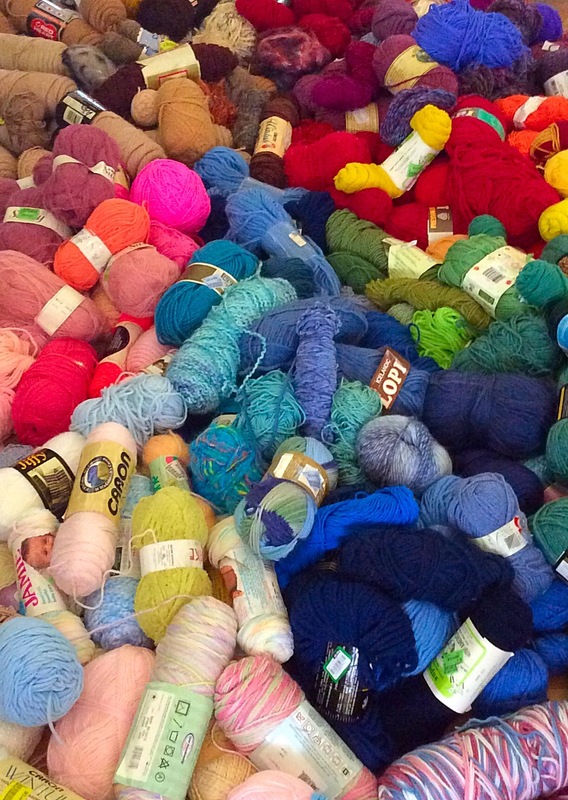 There is nothing more wonderful than basking in all the yarn that has been donated to our program. Like Dinah says: “It is like being in Heaven for me”! What a joy to watch her laugh and roll around in all the yarn we receive from the lovely ladies at Twist Yarns in Manhattan Beach. Dinah has come along way in her recovery and is experiencing the magical gifts of sobriety. She is dedicated to helping others experience what she is so fortunate to have! Thank you so much to Cathy Karen and all her Ladies! 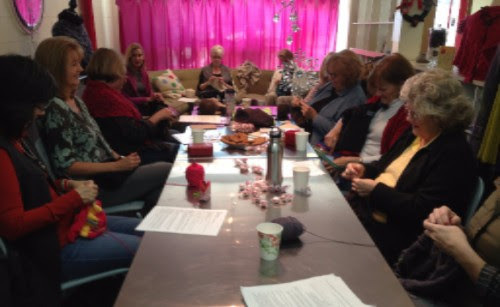 With your help and generosity we can continue spreading love and healing, knitting and crocheting for all who need some extra warmth and caring!